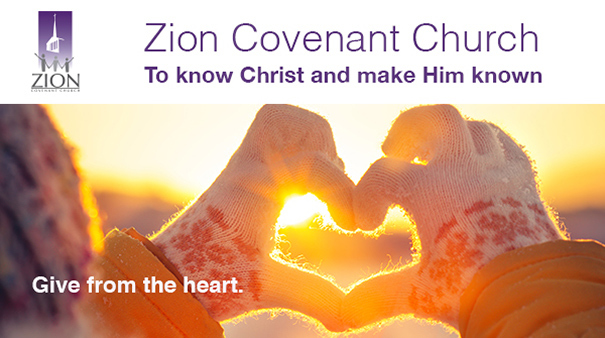 Thank you for supporting Zion Covenant Church. Give to capital projects that go above and beyond budgeted giving to the church. Memorials to Zion Covenant Church make a loving tribute. Your offering to the benevolence fund allows local ministries of compassion.